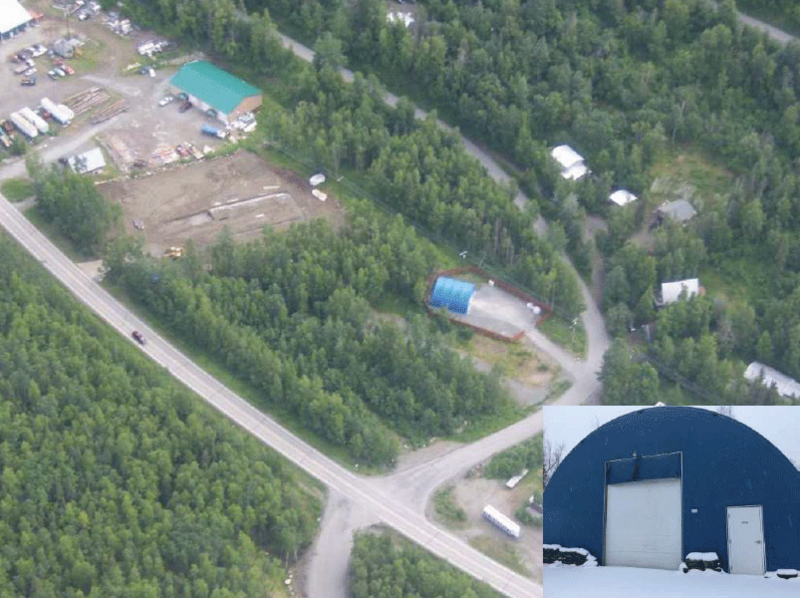 This property is in an opportunity in a great location on 1.5 acres on the Glenn Highway. It has an asphalt driveway that leads to fabric building Weatherport (40′ X 40′) on an asphalt pad. The building has a 12′ x 14′ overhead door personal door . It has Natural gas heat .There is 2 wells and septic systems that is not connected on property . This is an excellent opportunity use it as Small contractor Snow Plowing Maintenance facility Vacant ready to more into.